You may want to think twice before you pull out those dandelions in your yard, or worse, spray them with weed killer. Dandelions are actually full of nutrients, with almost every part of them being beneficial to humans in some way. The roots of dandelions are particularly potent, and have been used in many different cultures, including China, for thousands of years. Dandelion remedies are not regulated by the FDA, therefore always discuss use with your doctor before beginning. Technically known as Taraxacum officinale, dandelions grow wild all across the world. According to the book, "A Prescription for Herbal Healing," dandelions are even cultivated as herbs in China, France and Germany. In Chinese medicine, it is known as Pu Gong Yin, and it is used to clear heat, drain dampness and expel toxins, according to TCMassistant.com. The young leaves of the plant can be eaten in salads and other dishes while the roots are typically harvested after the plant is two years of age, states "A Prescription for Herbal Healing." According to "A Prescription for Herbal Healing," the roots of the dandelion plant contain a complex carbohydrate called inulin. The roots are collected in the fall, after the plant has aged for two years to ensure maximum potency. Inulin has been shown to help promote bone health, improving resilience and decreasing erosion, states an article published in "Nutrition Research" in December 2009. Dandelion also contains compounds called sesquiterpene lactones, which function to help clear toxins from the body. An article written in the June 2010 journal "Acta Biologica Hungarica" discusses sesquiterpene lactones&#039; effects on the liver, stating that they have a protective effect against hepatotoxicity, or liver toxicity. "A Prescription for Herbal Healing" states that the dandelion root is a blood purifier, promoting detoxification through the kidneys and the liver. Dandelion is also used as a natural diuretic and does not deplete the body of potassium the way medications can. In fact, according to "The Healing Herbs," dandelion is full of potassium. It also contains high levels of iron, boron, calcium, silicon, vitamin C and ounce for ounce contains more betacarotene than carrots, states "A Prescription for Herbal Healing." Dr. Weil&#039;s website adds riboflavin, folic acid, B6, copper and manganese to the list. Tinctures, teas and tablets of dandelion can be used for a variety of ailments. It can be used as a diuretic, helping to reduce water retention as well as promote urination during bladder infection, says "A Prescription for Herbal Healing." The book also states it should not be used as a substitute for diuretic medications, particularly if you have hypertension. The potassium it contains can help with muscle cramping, and it is considered a mild "bitter," which means it can stimulate appetite and increase digestive juices. It is particularly useful for detoxification purposes, helping the liver to metabolize and excrete poisonous substances. Because of its link to detoxification, it cannot be taken with certain medications. 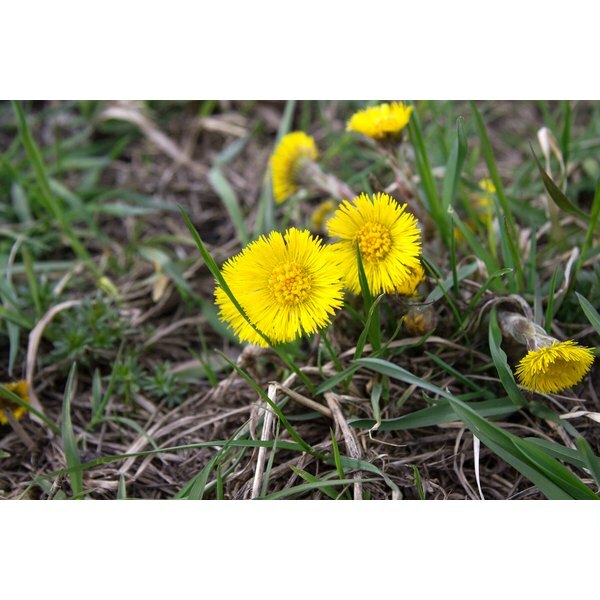 Drugs.com recommends not using dandelion if you have gallstones or biliary tract obstruction. Always discuss your health with your doctor before taking a new supplement or herb. "The New Healing Herbs" lists teas, tinctures and tablets as the three most common ways to take dandelion. Follow physician or package instructions. To boil a root concoction for tea, the book recommends simply add 2 to 3 teaspoons of dried root powder to each cup of boiling water. Boil for 15 minutes, cool, strain and drink up to 3 times per day. Dr. Weil&#039;s website also recommends eating the greens and cooking the roots, which can be served as vegetables at the table. The seeds of the dandelion plant are not edible, but you can plant them to cultivate your own herbs. Dr. Weil says to be sure that the soil has not been subjected to chemical fertilizers or pesticides. Clip the heads off the dandelions before the go to seed to avoid spreading them into your neighbor&#039;s yard, as they might not view dandelions the way you do.